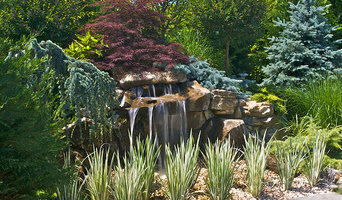 Landscape Creations Inc. creates beautiful outdoor living environments. As our slogan states “We Dig Design!” An initial meeting with a member of our creative design team will unfold the true desires for your property. Creative meetings together with conceptual landscape plans or Custom 3-D Computer imaging will bring our design concepts to you. Whether you require complete Landscape renovation, new masonry work, a water feature pool or poolscape, or an outdoor kitchen/living environment, Landscape Creations can create a unique outdoor environment for you. Let the professionals at Landscape Creations Inc. create for you! Terra Verde Landscape Architecture & Design P.C. Effective landscape architecture enhances and complements the natural environment, offers navigational and functional ease, and inspires the imagination. Terra Verde incorporates these values while maintaining the highest standards of quality, providing the client with a timeless design. From small perennial gardens to multi-acre estates, we can create a landscape design that suits your lifestyle. We also provide project management services to insure that your design is implemented as intended with the closest attention to detail. Terra Verde is a design build firm that will orchestrate the installation of your project using the best craftsmen and tradesmen available. Almost Perfect Landscaping (APLNJ) of Bergen County, N.J. is a multi-faceted landscape design, build, installation and property maintenance firm. We are locally owned and operated by Frank Porter and have been in continuous operation since our founding in 1980. We are proud to say no matter what size the project we are contracted for, we provide you the customer, with the same quality of service. From installing just a few plants, to a complete home renovation we can do it all. 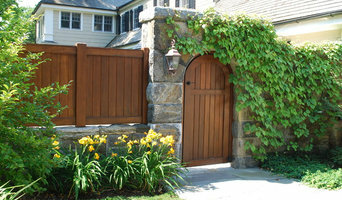 We service both residential and commercial properties within the Bergen County, New Jersey area. Our staff is professionally trained in our fields of expertise and many have been with the business for numerous years. Not all landscape companies are the same. Let me tell you why. 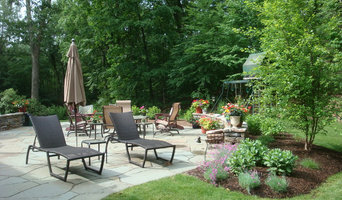 Almost PERFECT Landscaping has been serving customers like you for over 35 years. Our knowledge, expertise, and the most effective and innovative equipment a company has to offer, has enabled us to grow our business without the loss of one bit of quality. If I was to say what my greatest asset is, I would have to say my staff. Their dedication to provide you the customer with the very best they can is called PRIDE. Their knowledge they have attained working for me 15- 25 years shows in their schedule and in their performance. Seven of my employees have a combined 88 years of experience with Almost Perfect Landscaping alone. We have been rated number one by Angie's list for the past five years running. Poundridge Nurseries is more than a local institution. We are a family business founded upon a reputation for providing the highest quality plants and materials available. When you need a little assistance, our landscapers and staff can help you make your garden, property, and house look their best. Come see why Poundridge Nurseries has been a destination for more than 75 years. Dan Silverstein leads GreenZone Landscape Design, focusing on private and commercial spaces with a sustainable approach to planting and hardscaping materials. His work philosophy is simple: any space can be transformed into a beautiful garden and functional living area based on a client’s budget, needs and taste. Dan thoroughly enjoys the garden making process, sourcing out new and/or recycled materials locally for each project. John Cowen Landscape Associates Ltd. I am a Landscape designer with 30 + years experience who has been in business since 1994 carrying out design and build services in the Hamptons and surrounding areas. Magical Landscapes, LLC, provides landscape design and plant installation services to clients in the metropolitan New York area, including Manhattan, Brooklyn, and communities in northern New Jersey. Areas of specialization include urban gardens, from front entrances and back yard brownstone gardens to terraces and rooftops. the design of several public parks and design and maintenance services for several residential buildings in the area. The company coordinates hardscape, lighting and irrigation contractors for its clients as needed. Full- service Garden Design and Build firm specializing in high- end residential landscape projects. We design, build and maintain private gardens, roof gardens, Green-roofs and Terraces and container gardens. At Araiys Design we have a passion for connecting people to the beauty of their natural surroundings. We believe in designing places that reflect our clients visions, as well as protecting our sensitive coastal environment. Our clients are confident we will provide them with breathtakingly beautiful outdoor spaces, designed with careful regard for the local ecology. Araiys Design, L.A., P.C. is a licensed and insured professional corporation providing landscape architectural services to a variety of clients in the metropolitan area with over twenty seven years experience. Araiys Design, L.A., P.C. has been retained by public, non-profit and private entities to design or renovate sites within the municipal, recreational, corporate, health care, housing, industrial, educational, retail and residential province. Working with other design professionals, the firm uses the latest computer software to provide a multi-disciplinary approach to achieve cost effective, comprehensive design solutions for their clients. The firm was founded in 1994 and currently employs four people. Four are trained in the field of Landscape Architecture. As landscape architects, we understand that our resources include the landscape and the people that live in it. Araiys Design is dedicated to social and environmental responsibility on the local as well as global level.